Hand transplant is one of the most complicated surgeries in medical procedure which involves sophisticated equipment and technology. It also requires completing transplant within stipulated short period of time. In past, the doctors of a private hospital at Kochi in India have registered a rare feat by conducting India's first successful double hand transplant. The transplant was conducted at Amrita Institute of Medical Science in Kochi on January 12 and 13 this year on a 30-year-old train accident victim, who received both hands of a 24-year-old road accident victim. Subramania Iyer, professor and head of the plastic surgery department, said that only 110 successful hand transplants have been conducted so far in the US, European countries, China and Australia, since the first one in France 13 years ago. 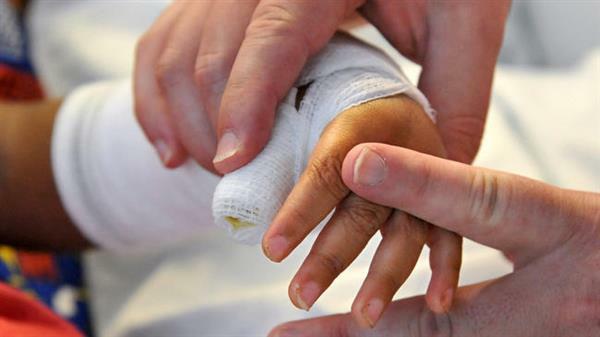 A major breakthrough of bilateral hand transplant is achieved in US; a team of surgeons in Philadelphia have successfully carried out a hand transplant on an 8-year-old boy using 3D printing technology. 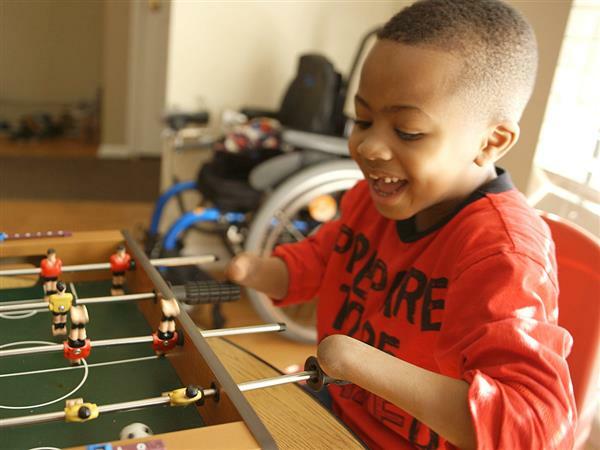 The 8-year-old, Zion Harvey, sadly lost his hands and feet to an infection several years ago and has since learned how to live without them. In order for doctors to perform the rare procedure, a total of four simultaneous operating teams were required; while two were focused on the donor limbs, two were focused on Zion. In order to prepare for the procedure, the team practiced for nearly a year and a half. Among other reasons, speed was of the utmost importance due to the ability to only have about five hours from the time they received the hands to the time they had to ensure that blood was flowing again. In order to determine whether a set of donor hands would be the right size for Zion, Dr. L. Scott Levin and another member of Zion’s surgical team created sample hands on a 3D printer that were based on CT scans of Zion’s forearms. In order to increase their chances, they made hands that were up to 20% larger and 20% smaller. These 3D printed hands were then used by Dr. Levin when checking on potential donors. 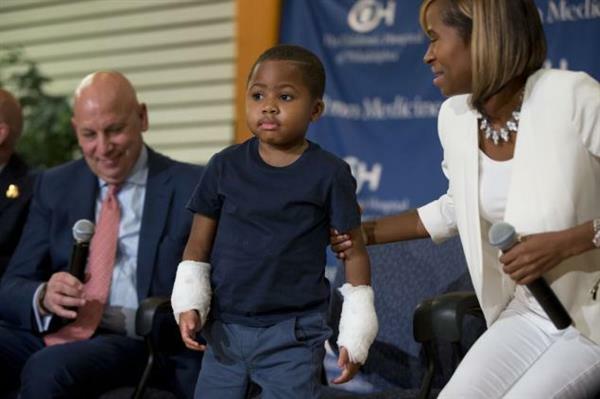 It was announced by the Children's Hospital of Philadelphia that the surgery, which occurred in early July, was a success and that Zion is both the first pediatric hand transplant patient in the U.S. as well as the world's first pediatric bilateral hand transplant patient. In total, the surgery took 10 hours and involved a team of 40 doctors and nurses from the Children's Hospital, Penn Medicine, and Shriners Hospital for Children in Philadelphia. According to Dr. Benjamin Chang, a surgeon who was on Zion’s hand transplant team, the complicated surgery involved uniting 2 bones, 2 deep arteries, 4 veins, 10 nerves, and 22 tendons.